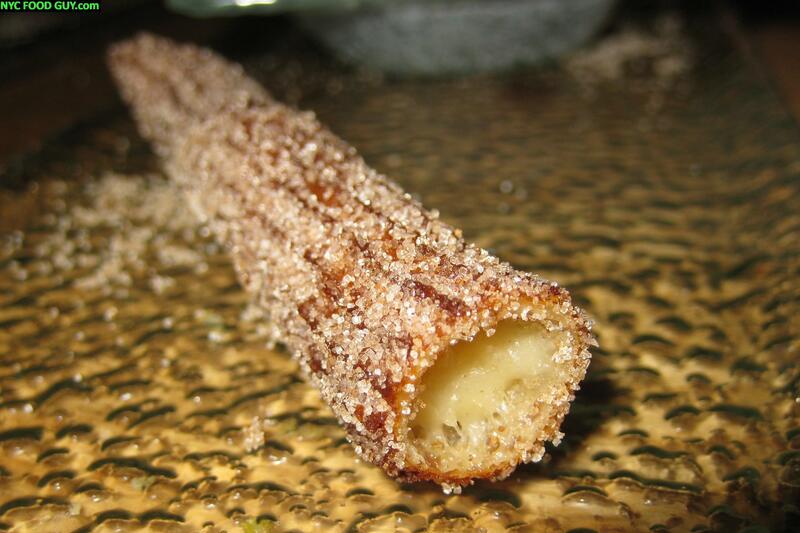 Eye-catching tilapia tacos and a simply delicious, cinnamon-sugar covered churro. Sometimes it doesn’t pay to try and eat healthy. After a greasy late night meal my heart was begging for something unfried at lunch the next day. I hadn’t eaten at Pinche Taqueria’s second NYC outpost on Lafayette and Bleecker, so I decided to stop in for a Taco Salad, and of course, an al pastor taco. Good thing my friend ordered nachos because it was the chips and melted cheese that saved the meal. Don’t forget, this location of Pinche Taqueria is open until 4AM Wednesday through Saturday. NYC Food Guy Note: I’m on vacation in California so I’m sending you on a NY Food Tour to keep your stomach happy while I’m gone. Enjoy the deliciousness. 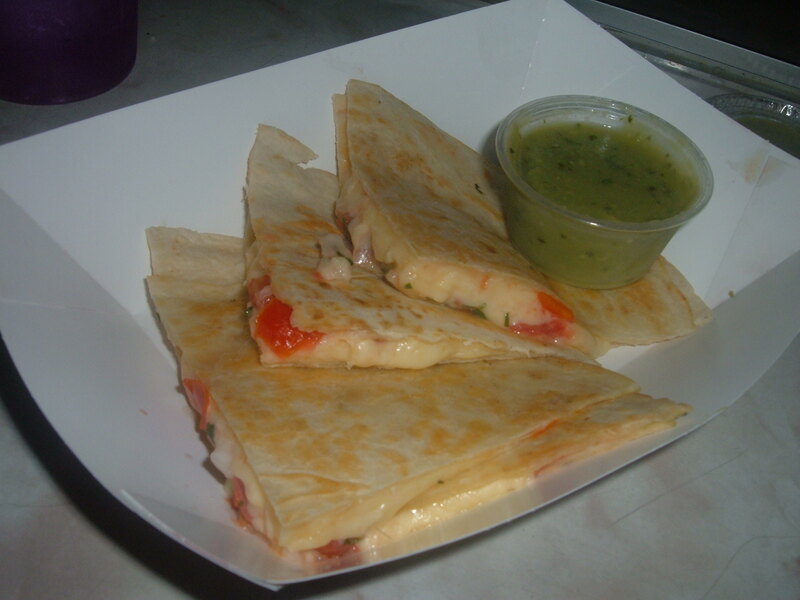 Quesadilla Simple ($5.00) filled with salty, stringy queso oaxaca and fresh pico de gallo. Delicious even without the side of salsa verde. Best quesadilla Lil’ NYC Food Guy has ever had. Thanks to Mark Lewis for recommendation. Carne Enchilada Taco ($3.00) grilled achiote rubbed pork, cilantro, onions, pineapple, salsa verde. 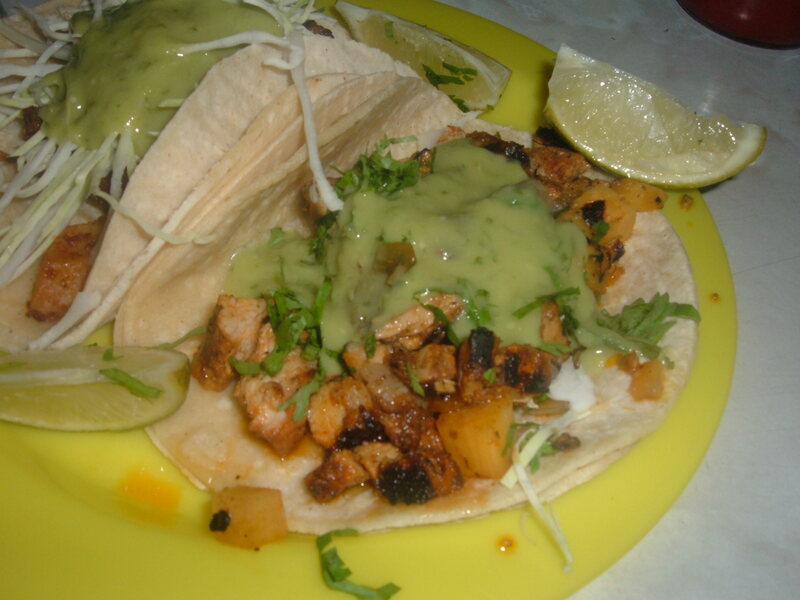 The perfect combo of spicy (tender pork & tangy salsa verde) and sweet (chunks of fresh pineapple). Papa, Nopales Y Chorizo Taco ($3.50) chorizo sausage, potatoes, cactus, salsa verde. More of a textural adventure with combo of spicy chorizo, starchy potato and crisp yet bland (like cabbage) shredded cactus. Better with a squeeze of lime. 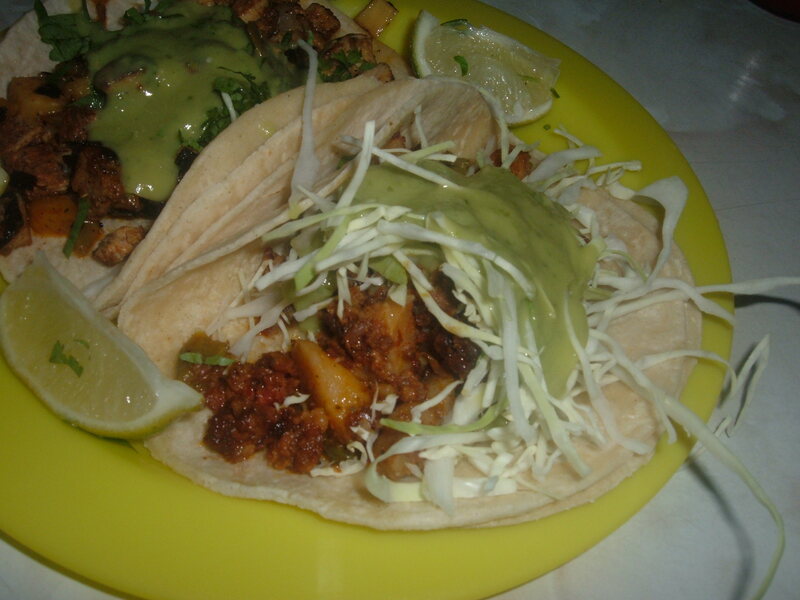 What: Informal, Affordable & Authentic Mexican Taqueria open until 2AM nightly. Inside info: The taqueria is a front for the “secret” Mexican restaurant downstairs. You can only reach it by reservation or knowing someone at the door. It’s a scene but it’s also a great date spot. 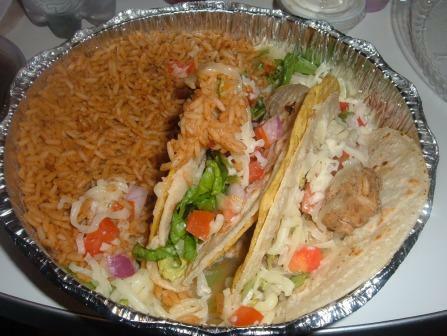 Burrito Box, on 9th Avenue between 57th & 58th, offers the best and most affordable Tex Mex delivery in Midtown. I recommend the Grilled Chicken Burrito ($6.95) with sour cream on the side (it comes with too much in it) and a large order of chips and salsa ($3.85). The salsa is homemade and chunky, filled with chopped onion and garlic. 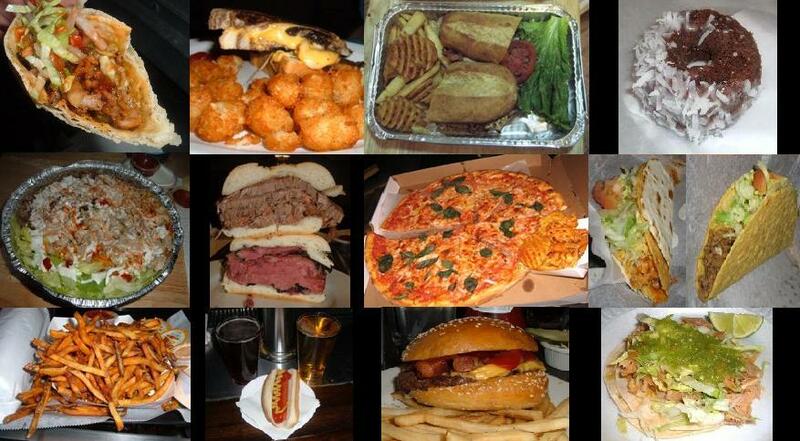 It’s delicious, some of the best I’ve had in NYC, but spare your co-workers and have some gum on the ready. All meats are flame grilled, tender, and delicious. Friends have spoken highly of the vegetarian burritos ($6.25 to $6.95). 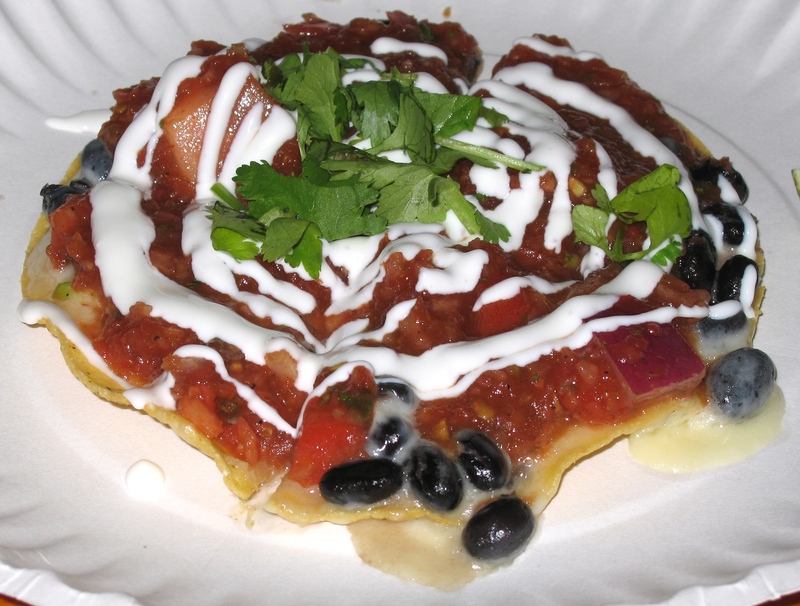 The quesadillas are quality too but don’t stand the test of delivery as well as the burritos. Soft tacos, particularly steak ($5.95 for 2), are also tasty, little bullets filled with your choice of meat with lettuce, tomato, and onion. Stay away from the hard tacos, they failed the test of delivery. I also didn’t enjoy the BBQ Chicken. 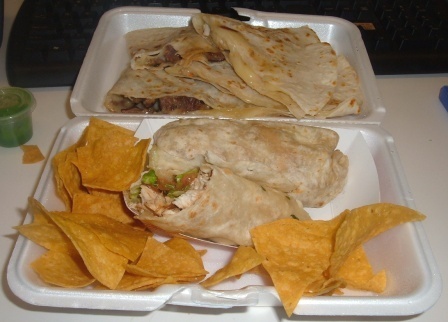 Here’s a link to my first two Burrito Box reviews with pics of soft tacos and quesadillas. 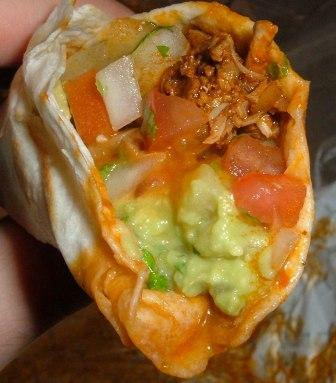 We’re all on the hunt for NYC’s best tacos so when we hear that Snack Dragon is serving cheap tacos in Alphabet City until 4AM on weekends, we have a reason to be excited right? Wrong. I hit Snack Dragon sober and had five tacos, only one of which was actually delicious. It’s unfortunate they were out of Carnitas pork, the self-proclaimed best and the only one I really wanted, because the chicken, steak, and fish were all lackluster. The Nacharito above was the one standout. So how do you mess up tacos? 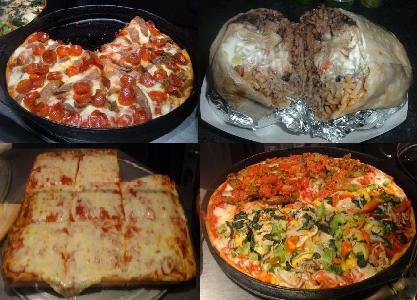 NYC Food Guy shines the spotlight on two Midtown spots that are still as good as the 1st time I reviewed: Tuscany Catering & The Buritto Box. Notoriety through anonymity; a phenomenon strengthened by its own hypocrisy. What is it about a little-known establishment that makes it so much more alluring? Well in a city where people pride themselves on having “a guy” or “knowing a place” that’s ideal for what you need, it’s no surprise that Midtown’s best pork & fish tacos can be found in the basement of an office building. 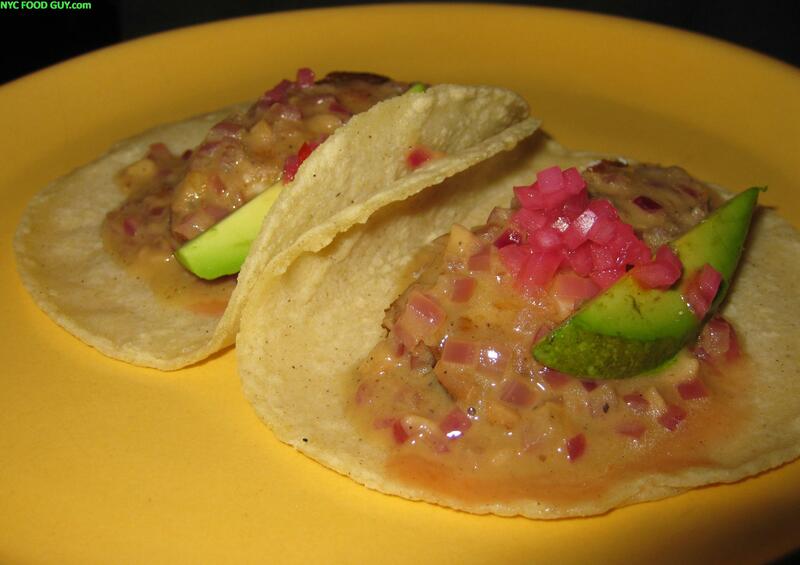 Find out why Pampano’s Tacos take the Midtown crown after the break. 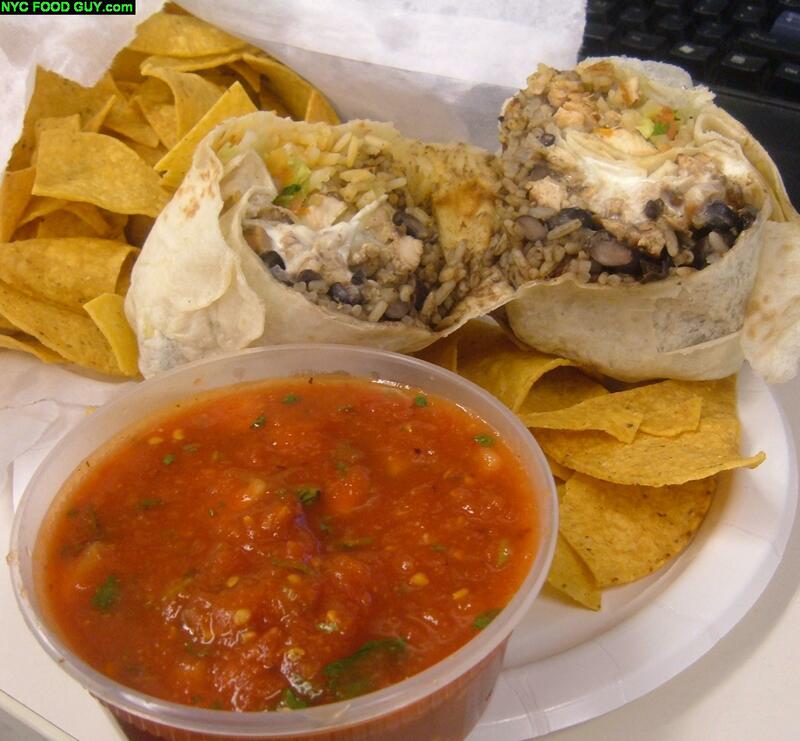 My previous post detailed my delivery disaster with Blockheads Burritos. As a result, I still hadn’t quelled my Mexican craving. Thanks to my Menu Pages method of finding a restaurant, I took a chance on Burrito Box, a place I’d never heard of. The menu seemed to offer the no frills Tex-Mex I was looking for. For once, I assumed right. I can’t crown it the best after one visit but I’m looking forward to eating here again. Corn chips, grilled chicken tacos, and half of a grilled chicken and steak quesadilla all for $20 including tip. 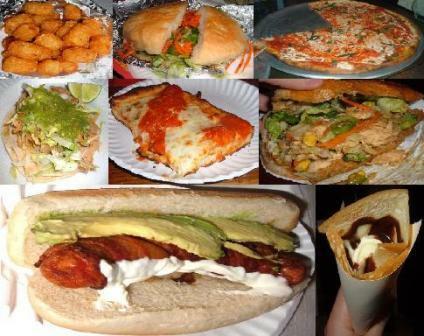 Discover my Menu Pages method for finding great new restaurants plus what makes Burrito Box so good after the break. NYC Food Guy has been craving good Mexican food lately and despite a lackluster eat-in burrito at Blockheads on the UES over a year ago, I decided to give it another shot, delivery style. Unfortunately the double-shelled grilled chicken tacos ($8.95 for a platter of 2 with rice & beans) were merely mediocre and if that’s not enough, they forgot my chips and salsa. Where Blockheads went wrong after the break.